Kitsunegari 5×8: Do you think I could get some service now? It came from the Blue Lagoon. It makes me sad to admit it because its precursor, “Pusher” (3×17) is one of my favorite episodes of all time, but “Kitsunegari” is one of those lost opportunities that begins with a lot more promise than it fulfills in the end. I hate to say it, but this is one of those episodes I enjoy less with time. 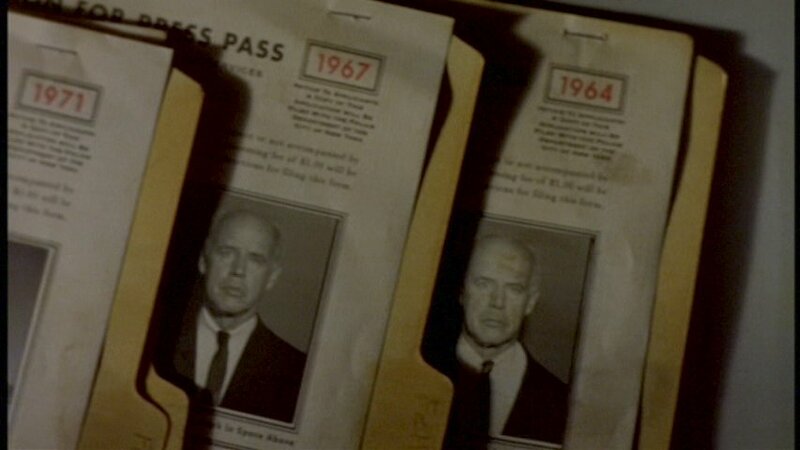 When I say it begins with promise, I’m referring mostly to the teaser because by the time the episode begins in earnest, our ears our stuffed full with so much background and exposition on Mulder and Scully’s history with Modell that it’s a wonder there’s any room left for us to hear the rest of the story. It doesn’t help that the explanation for how Modell made it off of his deathbed sounds arbitrary. “He simply woke up” doesn’t even attempt to veil the fact that his character has been resurrected for no deeper reason than to bring back a popular villain. He’s not here again to serve the development of the characters or the series. Now, I love his character so that doesn’t bother me… much. But the fact that Modell has no real reason to still exist let alone a solid motive to drive his character forward in the plot is one of this episode’s main weaknesses and it becomes more obvious the further along we get. Ostensibly, we’re supposed to infer that Modell is trying to stop his vengeful twin sister from taking the same path to destruction he did. But why? Last time we saw Modell, when he was conscious anyway, he was ready and willing, even eager to go down in a blaze of glory. You’re telling me that wasting away as a human vegetable in prison lessened that desire to prove himself as a “warrior” rather than increased it? Another problem is Modell’s sister. I’ve seen the actress, Diana Scarwid, on a couple of episodes of Law & Order and I know she’s pretty good. But something about the chemistry between her character and Modell’s, and worse, her character and Mulder’s, lacks a spark. Modell and Mulder were so good together in “Pusher” that you felt they could’ve almost been friends under a different set of circumstances. Linda Bowman antagonizes Mulder but without the same charm and aplomb. I realize that she couldn’t and shouldn’t be an exact repeat of Modell, but she should at least rival him in interest if she’s going to displace him as the main villain of the story. Bowman is cunning and devious whereas Modell was bold and blatant, but it’s his very boldness that’s endearing. Boogeymen who walk steadily toward you are scarier than the ones that wait for you in the dark. Modell is a hard act to follow regardless and, unfortunately, chemistry is almost impossible to create. Even so, I think this still could have worked well if the ending scene had played out a little differently. 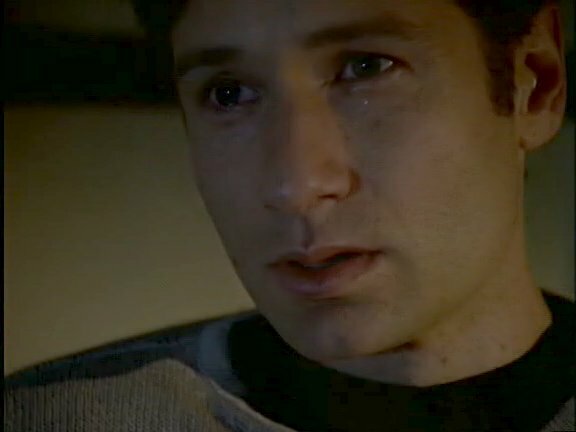 Now, I love me any moment where Mulder thinks that Scully is dead or dying. Give me Mulder dealing with Scully-angst any day. But it’s hard to accept Linda Bowman as Scully even though we know Mulder’s mind is being messed with. It would have actually worked better, in my opinion, if we had watched Mulder threatening to shoot Scully as Scully. No one can pull off Scully except Gillian Anderson, which is why that moment lacks some of the emotional punch it could have had. Maybe if the episode had ended on that note, I would remember it more fondly. This episode feels a little incomplete, a little rushed. It’s as if writers Gilligan and Minear had the general plot worked out but had to force out a finished product before they had time to polish up the characters’ motivations. To be honest, I was more easily satisfied as a teenager so I remember making more out of this one back in the day than it actually deserves. Not that it’s awful, it just doesn’t quite satisfy. 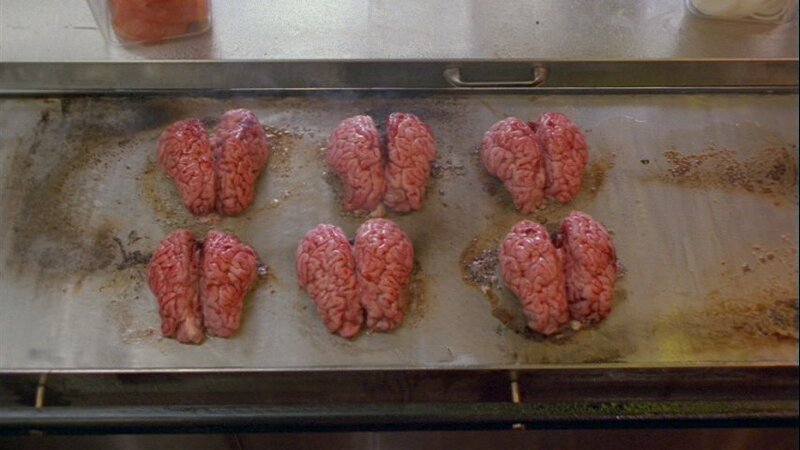 If “Tooms” (1×20) is the high watermark for Monster of the Week sequels, “Kitsunegari” feels lackluster in comparison. 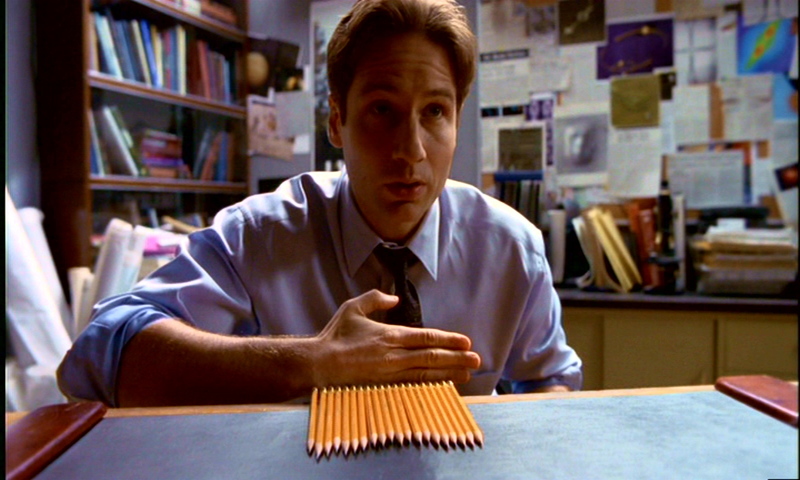 Attempts to force tension between Mulder and Skinner and Mulder and Scully only emphasize the fact that the plot doesn’t have anything else to fall back on except the “Mulder’s losing it again” routine. There are glimpses of glory. 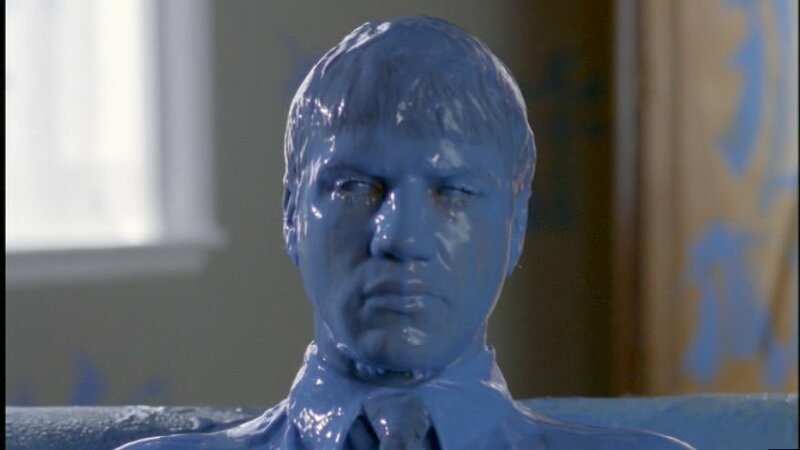 If The X-Files is known for anything it’s for its striking and memorable images and a dead man drenched in blue paint certainly fits that bill. The prison doctor’s death scene is predictable, but well done. I just wish I could say I love this episode, but I like it instead. “Budo/武道” is not the way of the warrior, that’s “Bushido/武士道.” Someone in the fact-checking department didn’t earn their paycheck. Mulder walks into a building he knows Modell is in but doesn’t bother to call for backup after all his stringent warnings to the other agents. No wonder Modell puts the Whammy on him. If that weren’t dumb enough, he goes alone to meet Bowman knowing how tricky she is. Brilliant, Gman. It’s been a while since we’ve seen Scully in a colored suit. If anyone else talked to their boss the way Mulder talks to Skinner they’d have a reserved seat at the unemployment office. Maybe it’s because at the height of its success the show wanted to revisit past glories, but this season I think may set the record for bringing back old friends. So far they’ve brought back X, Melissa Scully and Modell. Mulder: Let me take a wild stab here and guess this is a clue. Female Agent: Sir, it’s not a manifesto. It’s the same single ideogram over and over. Mulder: Well, that’s a little on the nose, don’t you think?